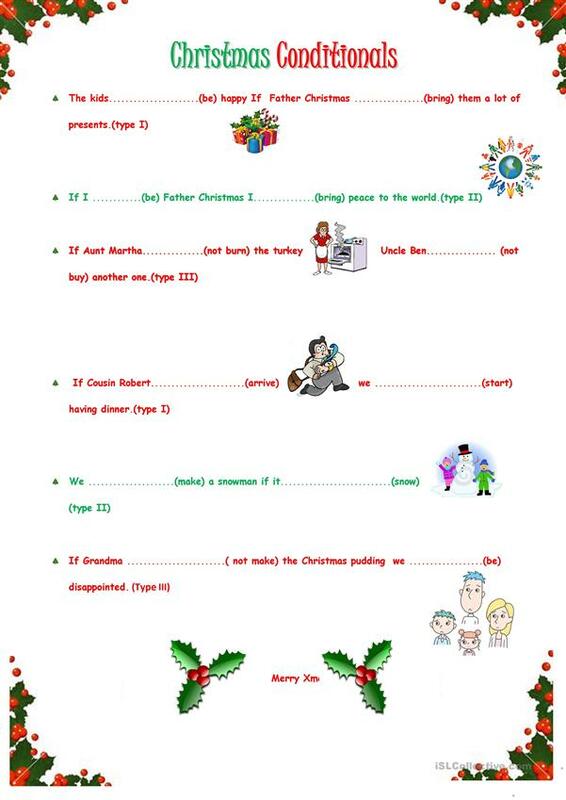 Ws to review conditional sentences and Xmas Vocabulary. Sts can provide their own examples. This downloadable worksheet was created for high school students, elementary school students and adults at Pre-intermediate (A2), Intermediate (B1) and Upper-intermediate (B2) level. It is a valuable material for working on your class' Speaking and Writing skills.